Nearly all his life, Denny Dearden has wanted to be a teacher and make a difference in kids’ lives. As the new superintendent of Sedona-Oak Creek School District, he’s positioned to do just that for Sedona’s students. After a month of teacher demonstrations and a weeklong strike, public school districts throughout Arizona are seeing a bump in funding from the state. The funding increase amounts to an additional $216.86 per student enrolled in the district, which Sedona-Oak Creek School District predicts will total $329,621. 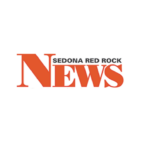 Reversing a decision made two weeks ago, the Sedona-Oak Creek School District Governing Board voted unanimously to continue discussions about closing one of the district’s elementary schools. As Sedona-Oak Creek School District works to slice $1.5 million off its budget, talk of closing an elementary school has resurfaced. 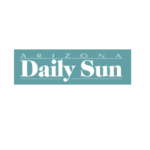 The SOCSD Governing Board has held two meetings so far regarding the cost savings of closing either Big Park Community School or West Sedona School, on March 20 and 22. The board also considered an option to keep both schools open, choosing instead to cut down on programs and personnel. Months of discussions came to a close this week as the Sedona Oak Creek School District’s strategic planning committee finalized its goals and objectives during a meeting Monday, March 5. As belts tighten at school districts around the Verde Valley, Sedona-Oak Creek School District is looking at another year of cuts in the face of declining enrollment. District administrators and the Governing Board met for their first budget work session Tuesday, Feb. 13, to begin the difficult process of pulling the district out of the red.